If you’ve been following our blog you may have noticed a couple of posts referring to our collection of Digital Volumes. 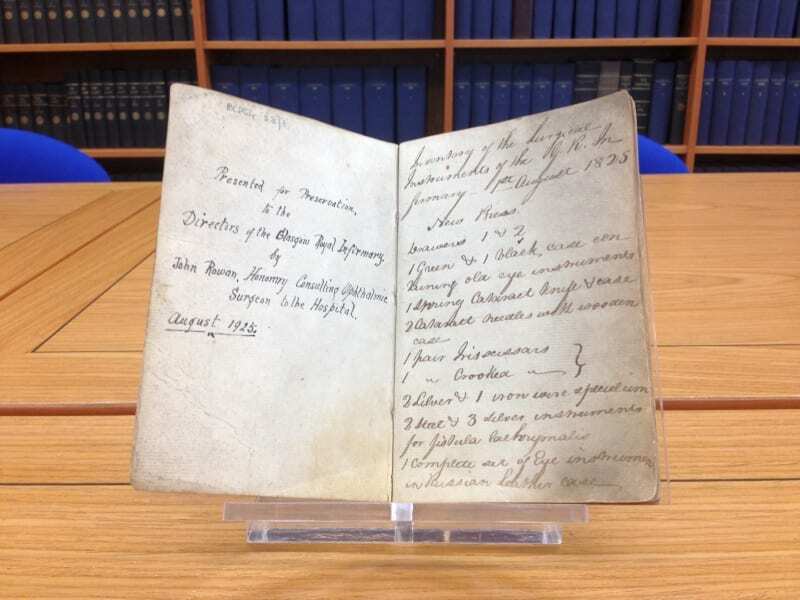 This collection includes some unique items from the College Archive that have been made available online as part of our ongoing digitisation project. Like most libraries and archives, we are keen to improve access to our resources. By digitising some of these items and making them available online, we hope to make them accessible to a wider audience and help to ensure the long-term preservation of some of our fantastic historical resources. 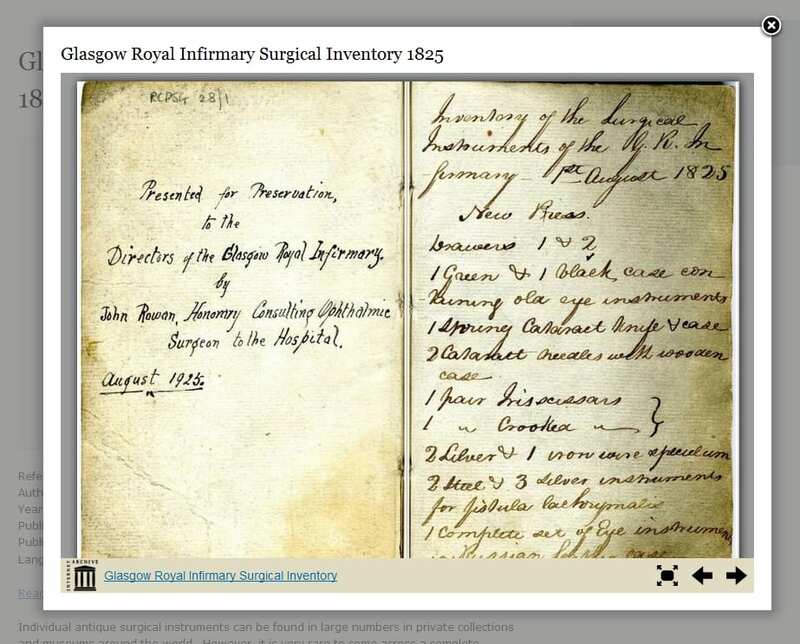 The scanner we use for this was built by a member of the College who wanted to scan the minutes of the Glasgow Southern Medical Society. When this was complete, he very kindly donated the scanner to the library. 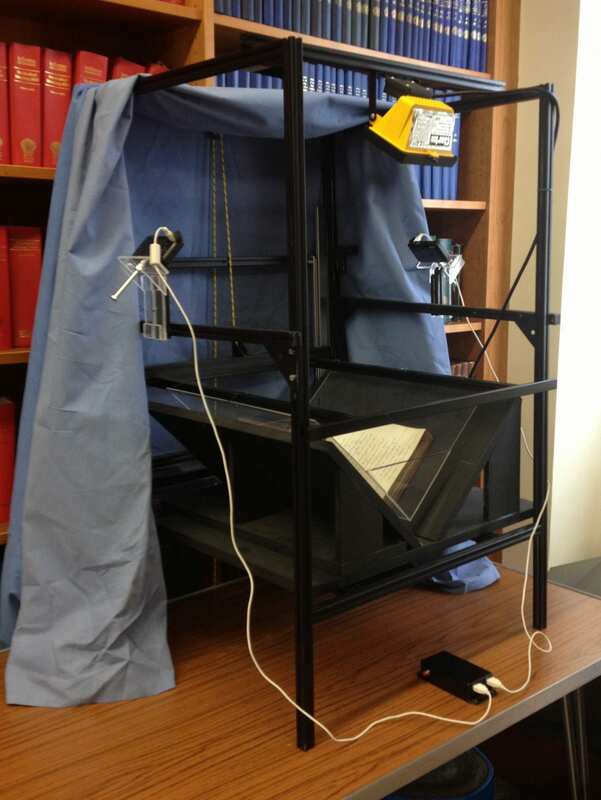 The scanner includes a V-shaped book cradle, which is less likely than a flatbed scanner to cause damage to the book or its binding. As mentioned in a previous post, we get a lot of help from volunteers, and most of our scanning to date has been done by volunteers. 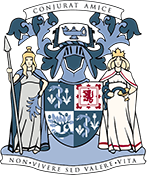 Anna Käyhkö worked with us through Glasgow University’s Club 21 internship programme, and Jane Mycock helped us while studying for her PhD at Strathclyde University. Scanning and processing the images for digital volumes is a time consuming process, and we’re very grateful to Anna and Jane for their help. Our digitisation project is quite a DIY affair. We try to use free and open source software as much as possible when creating our digital volumes, and our scanner was hand-built by a member of the College using guidelines from the DIY Book Scanner online community. We use two compact cameras to capture the images. These aren’t professional cameras, so we use the tools CHDK and CardTricks to let us capture images in a raw format, and to let us fire the shutters on both cameras simultaneously. We prefer to work with and store the images in TIF format, so we use IrfanView to convert from CRW to TIF. We also use IrfanView for file renaming and any other batch processing. We edit the images and prepare them for the web using ScanTailor. Once the images are ready, we combine them into a single PDF using Photoshop CS6, and upload to the Internet Archive. Finally, we embed the content from the Internet Archive in the Digital Volumes collection on our website. Our digitisation project is ongoing, and we are adding new content on a regular basis. Keep an eye on the website, and don’t forget to follow us on twitter @rcpsglibrary for frequent updates.